Last week one of my best friends came to visit from Florida and suggested we make something while she was here. 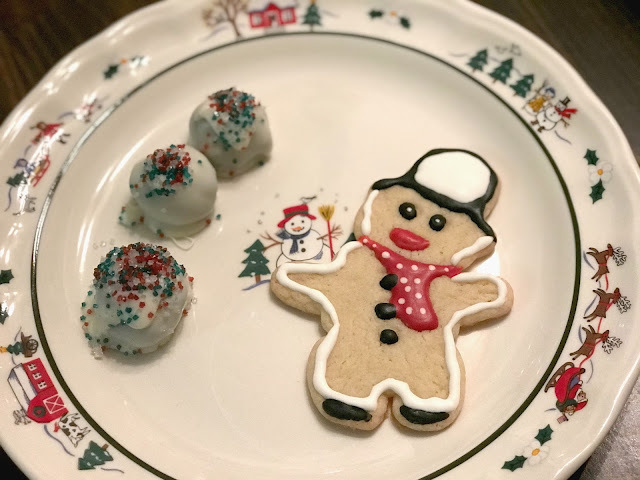 Nothing says getting in the Christmas spirit like spending time in the kitchen. I'm telling you what- these are dangerously good. The combination of the Oreo's and cream cheese and melted white chocolate...delicious! 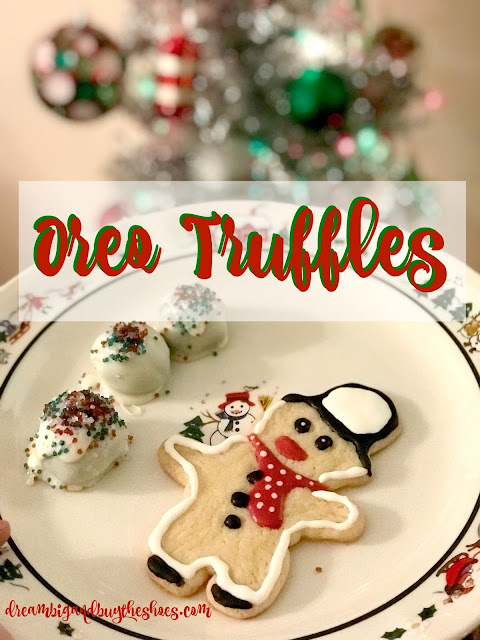 This is a nice option to take to your holiday festivities that isn't the normal appetizer or traditional Christmas cookie. 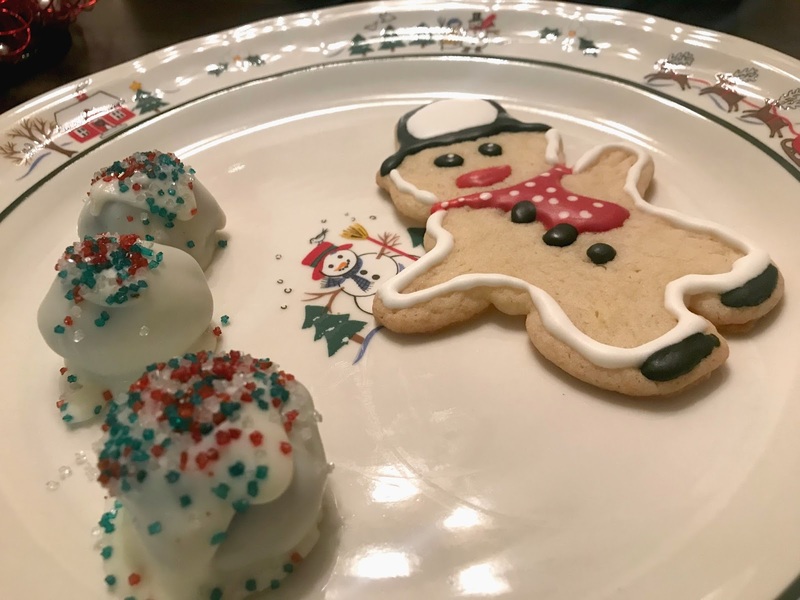 I do recommend making them to take somewhere, because if left in your house you may be eating them for breakfast the week of Christmas...thanks Elisa :) I should have sent some back in her suitcase so I don't gain 5 extra pounds this week! I'm a little behind on responding to comments and reading and hope I get caught up before Christmas! Since I won't be back here to post before then- I hope you all have a wonderful holiday weekend with the ones you love. I am so very thankful for each and every one of you that reads, comments and supports Dream Big and Buy the Shoes and you're one of my greatest gifts each and every year. Have a Merry Christmas friends, xo!